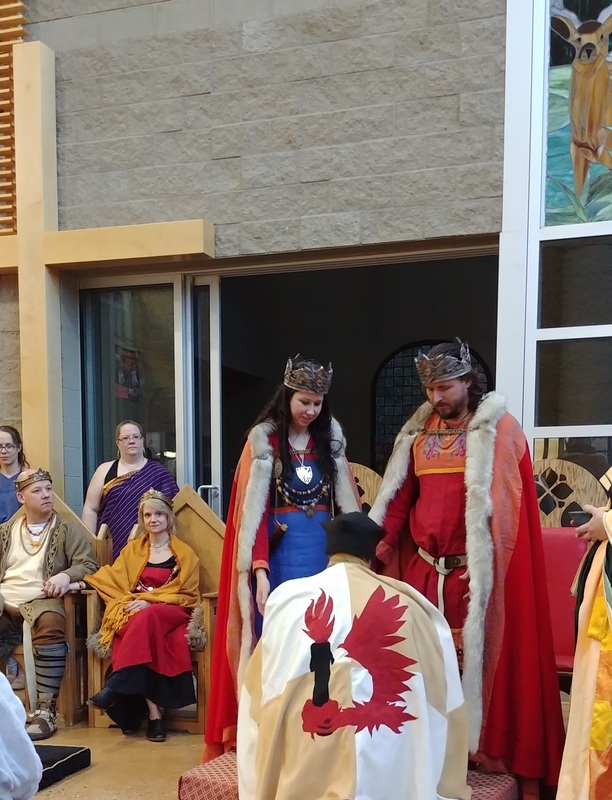 This past weekend was Avacal’s Kingdom A&S Championship and The University of Avacal. It’s the first time the Championship has been done at its own event, and based on how many people I saw there, the event was a massive success. There were a ton of classes in 12 tracks, an A&S display area, and of course the Kingdom Arts & Sciences Championship. There were two full entrants for the Championship, Her Ladyship Niesa Abdelmessah, and myself. 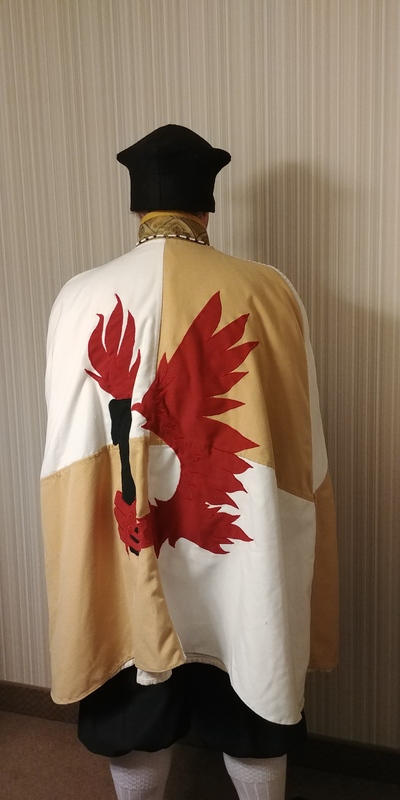 It’s a difficult and stressful competition, but at the end, I felt very accomplished just for getting through the creation, documentation, display, presentation, and questioning. HL Niessa had an amazing display, and entered bone carving and hide tanning and I am in awe of her skills in that area. I entered a research paper on the history of bacon, and a beef stew that could have been prepared on board a Tudor naval ship. 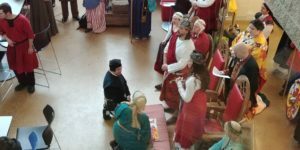 At court that evening it was announced that I had won both the highest single entry and the championship, and I swore fealty to Their Royal Majesties Kvigr Ivarsson and Svava Suanhuita. The rest of the post is fairly photo heavy. A discussion on the Avacal A&S facebook group lead me to think about levels of skill. These are only my thoughts, and I’m not a Laurel, so feel free to take this with a grain (or barrel full) of salt. Updated: Master Thorvald gave some advice on this that I’ve added as an addendum. I agree that I’m putting too much emphasis on research while someone can definitely be at master level based on their artistic merits alone. When considering levels of skill I like to think in the context Novice/Intermediate/Proficient/Mastery. These have nothing to do with SCA granted awards, but I think A&S awards frequently line up with them. But I figured that wouldn’t work well for a link. If you’re wondering how the A&S portion was it was great. 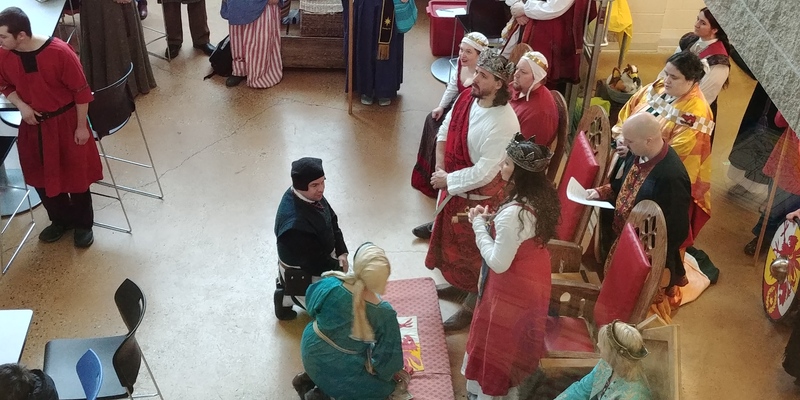 I had a lot of fun judging a food entry and got to judge a bardic entry for the first time. Now back to the Rapier. So this is going to be my reactions as I watch my fighting on Don Godfrey’s videos. His YouTube account is here: https://www.youtube.com/user/godvonrav. I was browsing my stats. 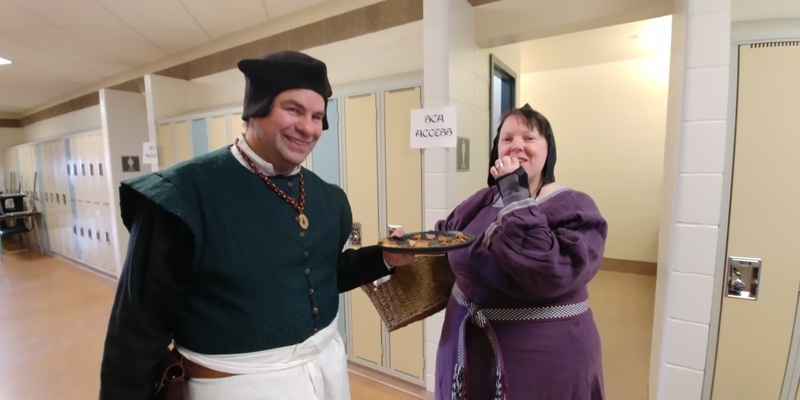 I never realized how popular my Roman Legion Cooking project I did for AT War was. It seems that that is the most viewed page, and the biggest reason people come to this blog. Followed closely by my bread experiments. I’ve been planning some more experiments with the bread. I’m thinking that since the mead barm bread went so well I might try to expand on that. A friend of mine did a project on Norse Bread, and it brought up some great ideas. 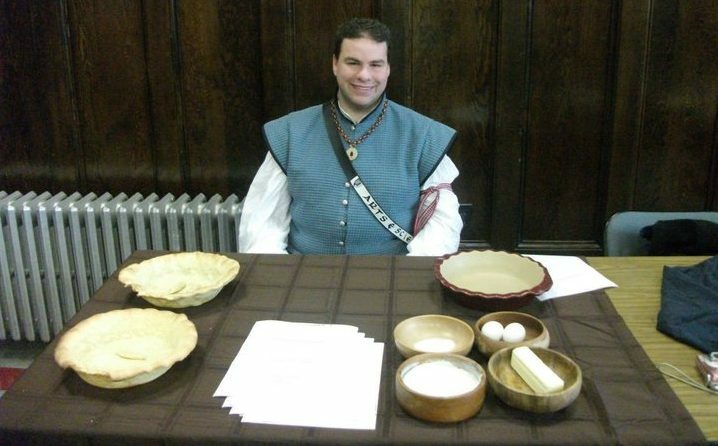 I could use the resarch into norse bread and the types of grains that were found in it, particularly in the Birka find, and make a mead barm bread with the proper grains. I’m not sure if they would use mead barm or beer barm to leaven it, but since both would be readily available it would make sense. My no research suspicion is that they would use mead barm, as it would impart a light sweetness to the bread. Based on the types of norse bread I’ve read about I’d assume that they would go stale about a day after baking, so they would likely be eaten fresh and hot. Perhaps a lightly leavened pan bread…. Much research is required here. As promised a month ago, here is my documentation for late 14th and late 16th century coffins. An examination of pastry coffins from the ends of the fourteenth and sixteenth centuries. I am making coffins from two cookery books, one from 1390 (Fourme of Curye) and one from 1597 (The The Second part of the good Hus-wiues Jewell). My goal here is to compare and contrast the earliest and the latest coffin recipes I have found and to see if their similarities will allow me to assume that they function as a baseline from which to measure other coffin recipes. When I began this project it was because I had read in too many places that there weren’t any coffin recipes in existence, while others say that there aren’t any from before the latter part of the sixteenth century. I felt that as coffins are a key part of English cookery there had to be a few recipes somewhere. I examined fifteen Middle English and Early Modern English cookery books from 1390 CE to 1597 CE and found references to coffins in eleven of them. Of those eleven, six of them had actual recipes. In total I found fourteen separate coffin recipes. Although there are a number of general similarities they are exceptional for how often they are not followed. Most of the coffin recipes seem to be prebaked, though there is the occasional exception, and some are baked half way, removed, filled and baked again. Most of them seem to have lids, though there is the occasional recipe without a lid. Many of them have the lid raised up by blowing into it. Some have the lid prebaked and a hole cut in it so a gelling agent (like eggs) can be poured into it. Some of the coffin recipes seem to be designed to be eaten, containing sugar or other flavorings,  some would probably taste very bad and so do not seem to be designed to be eaten. Most are baked, but some are fried. They seem to be used for all sorts of menu items including desserts. The biggest similarities I could find were: a coffin is a pastry case designed to hold other food for baking or frying, it is often prebaked, it often has a lid. The term “coffin” in this context means a chest, case or box, so I suspect it has more to do with the shape than anything else. Because of this I will use the term “coffin” to mean: a pastry case which has a bottom, sides and a top (with exceptions where referred to in the recipe) and that it will be at least partially prebaked so as to hold its shape. For this entry I decided to compare the earliest and the latest coffin recipes; I will examine and redact the recipes from Fourme of Curye and The Second part of the good Hus-wiues Jewell and compare them. This was my entry for Avacal/Tir Righ War, which is a war between neighboring principalities. I was thankful to get to use a friends full camping kitchen to prepare these dishes instead of ours. The dishes aren’t very complicated, but with four dishes that all had to be ready about the same time it was tough. The judges loved the taste of all of the dishes, which I was surprised about, I wasn’t expecting them all to taste as good as they did. 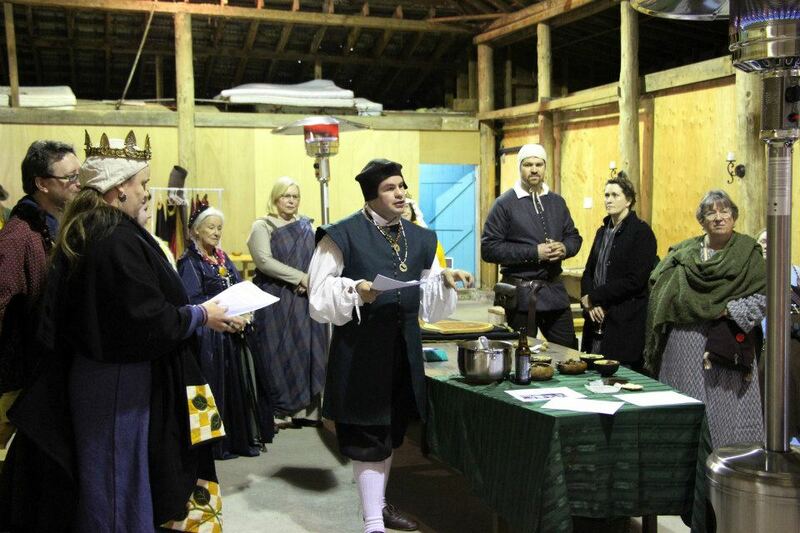 I lost some points by not using period cooking vessles or heat source, though I did use period cooking methods. But I gained points by making my own liquamen and using spelt instead of a more modern grain. I’ll be doing more research into period grains in the future. It was something that I did at the last minute for this entry, but I can’t imagine how bad the biscuts would have been had they been made with bread flour instead of cracked and lightly ground spelt. Roman legionary food from the fourth century. The recipes I have created are adapted from recipes in The Roman Cookery Book: a Critical Translation of The Art of Cooking by Apicus. 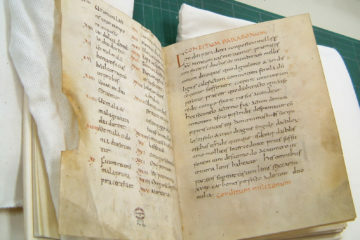 Which is a translation of a fourth century Roman cookbook. The originals of the recipes I’ve adapted are later in the documentation. When looking for a baked venison, or venison pie, recipe I found seven different recipes, sometimes from the same cookbook, spanning from 1393 till 1596. I have arranged them in order with my commentary here. This was done for the A&S competition at Lionsdale Champions in June 2009. The competition was “Rhymes with June”. My lady Kayleigh deLeis and I did this together. We won the competition. The recipe we chose was from A Proper newe Booke of Cokerye which was published in 1557 in England. It is for a dessert tart made with prunes. We found a second source in The Good Huswifes Jewell, published in 1596 in England which we used to add a bit of spice to our adaptation. To make short paest for tarte. To make a tarte of Prunes. suger and so bake it. To make Tarte of Prunes.